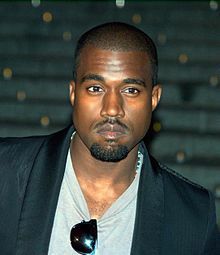 Kanye Omari West is an American rapper, songwriter, record producer, fashion designer, and entrepreneur. Born in Atlanta and raised in Chicago, West first became known as a producer for Roc-A-Fella Records in the early 2000s, producing hit singles for artists such as Jay Z and Alicia Keys. Intent on pursuing a solo career as a rapper, West released his debut album The College Dropout in 2004 to widespread critical and commercial success, and founded the record label GOOD Music. He went on to pursue a variety of different styles on subsequent albums Late Registration , Graduation , and 808s & Heartbreak . In 2010, he released his fifth album My Beautiful Dark Twisted Fantasy to rave reviews from critics, and the following year he collaborated with Jay Z on the joint LP Watch the Throne . West released his abrasive sixth album, Yeezus, to further critical praise in 2013. His seventh album, The Life of Pablo, was released in 2016. Kanye Omari West (/ˈkɑːnjeɪ/; born June 8, 1977) is an American rapper, songwriter, record producer, fashion designer, and entrepreneur. Born in Atlanta and raised in Chicago, West first became known as a producer for Roc-A-Fella Records in the early 2000s, producing hit singles for artists such as Jay Z and Alicia Keys. Intent on pursuing a solo career as a rapper, West released his debut album The College Dropout in 2004 to widespread critical and commercial success, and founded the record label GOOD Music. He went on to pursue a variety of different styles on subsequent albums Late Registration (2005), Graduation (2007), and 808s & Heartbreak (2008). In 2010, he released his fifth album My Beautiful Dark Twisted Fantasy to rave reviews from critics, and the following year he collaborated with Jay Z on the joint LP Watch the Throne (2011). West released his abrasive sixth album, Yeezus, to further critical praise in 2013. His seventh album, The Life of Pablo, was released in 2016. West's outspoken views and life outside of music have received significant mainstream attention. He has been a frequent source of controversy for his conduct at award shows, on social media, and in other public settings. His more scrutinized comments include his off-script denunciation of President George W. Bush during a live 2005 television broadcast for Hurricane Katrina relief and his interruption of singer Taylor Swift at the 2009 MTV Video Music Awards. West's efforts as a fashion designer include collaborations with Nike, Louis Vuitton, and A.P.C. on both clothing and footwear, and have most prominently resulted in the YEEZY collaboration with Adidas beginning in 2013. He is the founder and head of the creative content company DONDA. His 2014 marriage to television personality Kim Kardashian has also been subject to widespread media coverage.